Zadie is a Blank living in a world made only for Skilled. Blanks have no special abilities. The Skilled, however, are born with abilities. Sometimes more than one. Zadie was taken away from her mother at only six years old and sent to the wastes to work for her place. She signed a contract with the Warden to work in exchange for meals and shelter. Years later, her mother, sister, and best friend had saved up enough money to buy her way into the city. Zadie has a special ID card that lets her into the city of Trinnea but she still doesn’t feel she belongs. The skilled torture the Blanks. Luckily, Landon, Zadie’s best friend and the most skilled boy in the city, comes to her aid when trouble presents itself. Until one day, Landon disappears into the labyrinth and the townsfolk forget he ever existed. Zadie’s only option is to go into the labyrinth, find her best friend, and find the Great Leader who lives in a palace on the other side of the Labyrinth. She hopes the Great Leader will see reason and make changes to Trinnea for the greater good. But an evil lurks within the labyrinth. It’s full of traps and inhabited by the legendary Dex who steals Blanks into the labyrinth. Sometimes they never come back but when they do wander back to town, they’re not the same. But Dex is the only one who knows the labyrinth, so Zadie must make an alliance with the murderous monster to save her family, her best friend, and all of Trinnea. This book was SO GOOD. Seriously. I couldn’t put it down. And when I did put it down, all I thought about was picking it back up for wanting to know what was going to happen. Now, full disclosure, Labyrinth starring David Bowie and Jennifer Connelly is my favorite movie. Of all time. Ever. So I discussed with my best friend the possibility that this book was only amazing to me because I was imagining THAT world. Once you get into the labyrinth part of the story, there are “dangers untold and hardships unnumbered”… BUT… they’re different. AND THEY ARE SO GOOD. Oh my goodness. I don’t want to give any of the obstacles away but they’re so clever and so dangerous and so… elaborate. As for the characters, I was kind of annoyed with Zadie at first as she was so helpless allll the timeeee. Someone would start picking on her and she would mentally wish for Landon to swoop in and save her. But I soon learned there was a reason we were taken through that part of her character. She had to grow. She had to learn. Being a Blank scum who was considered worthless around her town was all she knew and it came to be how she saw herself. I love where the author took her character and I enjoyed her journey up to that point. I’ve been known to love the dark characters in books and this book was no exception, Dex was my favorite. The mystery and the way he does what he has to do no matter the cost… Maybe he’s evil but it. 😈 Let’s just go ahead and add him to my fictional boyfriend list. This is a YA novel… BUT, that didn’t stop the author from making some brutal decisions throughout the story. I loved that aspect. Given the situation of the book and the setting, there’s no room for romanticized words or actions and the author sure doesn’t try to force them in. We get some pretty heart wrenching scenes in this book. The author really doesn’t show any mercy. For ANY character. So, prepare yourself for that. I wasn’t ready. This was honestly such a good book but I NEED THE SECOND ONE. There’s going to be a second one… right? Meredith??? Another wonderfully crafted book of poetry by Rapi Kaur. A lot of people say they liked the first better in terms of content and illustrations but I’m having a hard time choosing between the two. Also much like the first book, we start off with a hard hitting, no mercy account of toxic relationships, break-ups, and wanting to be like someone else. Wilting is a collection of accounts in which the author feels she should alter herself to be like the girl he left her for. She’s unhappy in her own body. She goes as far as to call herself “ugly”. She takes us through grief and self abandonment. Falling takes us to the place we find ourselves after going through hardships. That time when we have finally hardened ourselves to the outside world. We’ve put up a wall that we don’t let others breach. A point of depression is reached where we can’t find it in ourselves to rise. She also mentions something SO important in this section. She mentions children who are taught to obey. Children who are not taught the word “no”. Children who grow into adults who still find it impossible to say the word “no” and, in turn, end up letting others hurt them. This is the section of the book and of our lives when we become detached and numb. Rising gives way to the process of moving on and realizing how misplaced your grief was before. This section takes us through the breaking of that hard outer shell we’ve built around ourselves. It takes us through learning to adapt to a healthy relationship without comparing our new partner to our last. It shows us GROWTH. It teaches us that when we’re with the right people, we will experience growth. The “fingers” entry on page 175… oh em gee. It got me. It got me right in the feels. If you plan to read this, don’t skip ahead. Enjoy the journey this book takes you on and enjoy page 175 when it’s meant to be read. It was my favorite. Finally we have Blooming. Blooming is all about lifting yourself up, trusting your body, finding your independence, and surrounding yourself with people who do the same. You are irreplaceable! One of a kind! Love yourself. Rejoice in the fact that your mother gave you safe passage into this world and gave you a chance to LIVE. And one of the most important points in this chapter… we are not in competition with one another. We are all different and there is no comparison. Take compliments from the people who are nice enough to give them and don’t shy away from them. Those compliments are YOURS. I had seen a lot of conflict over this book. While I didn’t know anything about the contents, I knew that most people either loved or despised this book. Some people were criticizing the book really hard. That was all I needed. I wanted in. So I went into this without an inkling of an idea what its pages held in wait for me. Maybe it was my just coming from a self help book that filled me with positive thoughts and advice for keeping my head above water. This dove right into the raw parts of me. The wounds I didn’t know were still open. There were moments when I would think “I have to stop.” But I pushed myself further into the book and I’m glad I did. The book is split into 4 sections. The Hurting, The Loving, The Breaking, and The Healing. The first section, The Hurting was the most difficult part to read for me. The author opens up about past trauma and abuse she has encountered. While I started this section feeling uncomfortable, I soon came to find I enjoyed how blunt she was. I appreciated that she didn’t sugar coat things and that she chose the harsher terminology. After all, the things the first section cover are not pleasant and should never be sugar coated. Though I did look ahead to the section called “The Breaking” and wondered how it could be any worse than what I had just encountered during “The Hurting”. “The Loving” was nothing like I expected. I assumed it would be happier times along the way but it was not. The author took us through unhealthy relationships and showed us how we tend to change ourselves to better suit people we want. She showed us the entirety of meeting someone, falling for them, thinking the moon revolves around their being, and altering ourselves to please them. The final section, “The Healing” was the wake up call. The call for you to realize your worth and stand as tall as you were born to stand. It showed us that we can’t love others if we don’t even love ourselves. It showed us that pain is a natural part of life and loneliness is our body’s way of telling us we’re in “desperate need of yourself.” It reminds us that the people that broke us in the first place will have no place in our healing. We should surround ourselves with those whose presence alone gives us healing. It encourages us to love our body the way it is. Right down to your hairy legs. Love yourself no matter what. For you stand out. You are different. You are beautiful. Tag: What’s on Your Heart? Lately what has been on my heart the heaviest has been family. The sort of family I’m talking about isn’t limited to the family you share DNA with. I’m also talking about the people who have been so close to you your whole life to the point that you consider them family. You may have even grown up calling these people your cousins, aunts, uncles, grandparents or second mamas and dads. These people are just as important as your real family, sometimes even more so. I’ve recently been reminded that these people who I care about so much are not immortal. One day they won’t be here anymore. So I encourage everyone reading this to reach out to those you love. Whether you speak to these people every day or have sort of lost touch and don’t hear from them or see them as often as you’d like, reach out. Let them know you’re still here and you still care and you always will. I am in a really good place in life, guys! I married my best friend last year after dating him for over 6 years. We’re house hunting and it’s going pretty well so far. I get to see and spend time with my family regularly. I’ve got a few close friends who I value SO MUCH and I am so glad to be in touch with them even though most of them are far away. Life is great and I am so thankful to be where I am. I definitely believe in lust at first sight. It’s easy to pick someone out of a crowd who you find attractive and ticks off all of your boxes when it comes to what you’re physically attracted to. I do not believe in love at first sight at all. In my opinion, love requires a deeper understanding of someone. To love someone is to know them wholly and still have that attraction to them. Absolutely. Romantic and non-romantic. I think there are people who have a soul that meshes so effortlessly with your own and those people are the ones that we come to grow closest with. Those people are usually able to understand you a little easier and quicker than most can and are usually the ones we tend to show our true selves to. I’m a people watcher so it’s hard for me to pick out the very first thing I notice about someone. I guess I would have to go with the way they carry themselves. Whether it be their body or face. It’s usually fairly easy to pick up on if someone is stand-offish or has an inviting demeanor. I don’t really have an ideal date! Haha. Literally anything done with my husband. Our favorite things to do are to go the movies or the zoo. We also enjoy walking around cities or downtown areas and exploring new places. Our absolute favorite though? Sitting on the couch enjoying shows together or sitting in the same room but playing different video games. Haha! This sort of adds on to my answer for the soulmates question. I think the things I look for in a friend are much the same as what I looked for in a s/o (back when I was looking). Someone I can laugh with. Someone who gets my humor and can appreciate my ridiculous references. Someone who has an open mind. Someone who is brutally honest and isn’t afraid to call me out. Someone encouraging. Someone who makes me comfortable in my own skin. In my experience, it’s not too terribly hard to be friends with an ex… unless you truly loved that person. In that case, it becomes the absolute hardest thing to do. It’s also impossible to remain friends with an ex who was horrible to you, but that’s a different story. I struggle with this specific thing. I grew up a Jehovah’s Witness but never really knew about other religions and their beliefs. I like to know all of my options before settling on one thing. Well, after a lot of researching and learning how they all differ, I became exhausted with the idea of religion altogether. I suppose at this point I would consider myself agnostic. What keeps a bounce in my step? I believe everything happens for a reason and everything is going to work out in the end. I also believe in karma. Not so much in the spiritual sense but in the sense that if we strive to do good and be good, good will come to us. But if we are constantly deplorable, eventually we will make a decision that will set us on a path to shortcomings and misfortunes. My husband and best friend, Jacob. He supports me in everything I do. I am so grateful for him in every way possible. My parents who have loved me through every stage of my life including the ugly stages and supported me in everything I do. All three of these ladies right here. Each one of them has taken me under their wing and taught me something new about life that I’ve kept with me. My beautiful, crazy, encouraging, uplifting boss who has always pushed me to learn and grow as much as I can. This is a very special post as my receiving this book was a very special occurrence in my life. You see, my passion is reading and when someone asks me to do just that and they give me the tools to do it, that’s when I’m at my happiest. I got to speak directly to the author and I was even more elated at receiving this book after experiencing how incredibly kind and encouraging she is. Then I read this book and realized I didn’t even know the half of it. What a wonderful human being who has chosen to share her experiences and her time in order to help others become their best selves. I’m not one to read “self-help” type books, but I am SO GLAD my attention was brought to this one. I read a self-help type book last year and it was wonderful but it was all over the place and hard to follow. This book was a stark contrast. In the beginning of this book, not only are you given definitions and examples of the issues she plans to cover, but you’re also taken through each problem and each solution step by step. The chapters are labeled and easy to follow. I never once found myself lost at any point in the book. She starts by giving you an understanding of apathy and< helps you identify which type(s) you struggle with. She then moves on to helping you realize what your triggers are. After that, she gives you an understanding of why it's necessary to feel pain and failure. Lastly, she dives into all the ways to combat that pain and gain new perspectives on failure along with 5 secrets to reclaim the power of you. This book was so REFRESHING. I could have really used this book back in 2011-2012! Luckily, I had a wonderful “mentor” (dad) that led me through my experiences and got me out fairly unscathed. I have SO MUCH respect for the author as she speaks on her own struggles in life throughout this book so as to give you hope. You can make it out of your slump. You can achieve your goals. Your brain is your biggest obstacle but you are in control. Your brain isn’t the boss of you! My favorite parts in this book were the many times the author reiterated that YOU ARE BORN TO GREATNESS. Don’t forget it, people. You’re in control of you. Another favorite was how she kept reminding the reader IT’S NOT YOUR FAULT. So many people struggle because they blame themselves for many things which aren’t their fault. Don’t do that! It’s not your fault. There’s a reason you feel like this and you have the ability to pick out why things are going the way that they are for you and YOU, ONLY YOU can turn it around and feel better about yourself. This books gives you the tools to do just that! I have always thought this, and was so excited to read my jumbled thought in coherent sentences on paper: when we are born, the author reminds us that we’re “fearless, resilient, relentless.” No one is born believing themselves a failure. We are taught to believe that about ourselves later in life. Whether it be our upbringing or just experiences we go through along the way… we didn’t start out that way and there’s no reason we should end that way. If you are struggling to see your worth… if you’re struggling AT ALL WITH ANYTHING, pick up this book. This book will open your eyes to things you didn’t even realize you were experiencing. This book will give you the drive to change your ways. This book will empower you. 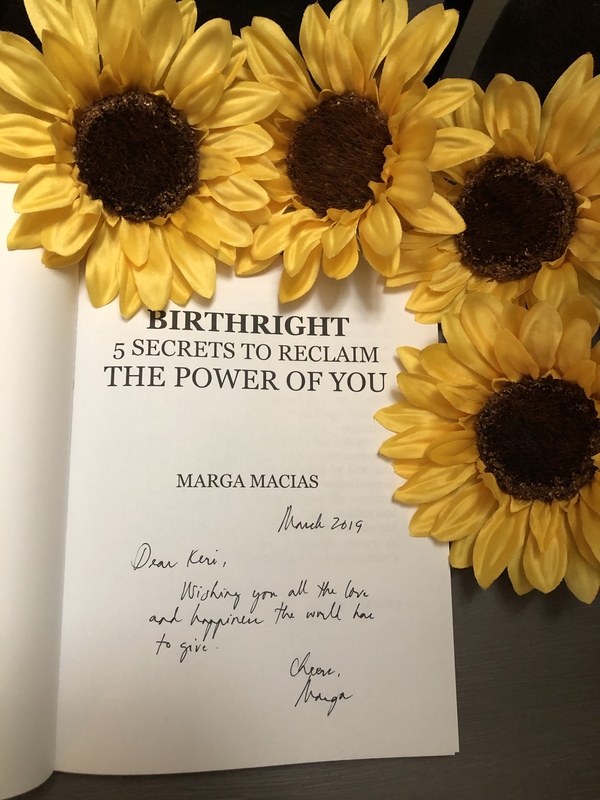 Special thanks to Marga Macias for being an amazing human being and allowing me the opportunity to step into her brain and learn from her experiences! It was a pleasure and an incredibly memorable read. The year is 2080. An aging school teacher named Valentina is recruited to be a part of a world altering experiment. Her mother was an expert of the mathematics of paradox, so she is a vital asset to the program seeing as how they are attempting time travel. Only, she arrives to find they’re not attempting, they’ve achieved it. Valentina is tasked with “hosting” a being from the past, piloting someone who has been transplanted with a device to make the this possible. The hope is that the small change they’ve set out to make will change the course of history so that the post-apocalyptic situation they’re in will never come to be while also keeping everyone’s already written histories much the same. The year is also 2028. A woman has just undergone routine brain surgery and wakes to find that there is someone in her head, bending her body to their will. This woman is faced with a choice: drive the unwanted presence out or work with the presence to achieve a great victory for Earth. So, Alastair Reynolds was thrown onto my radar when the series Love, Death, Robots hit Netflix. After binging the entire series in one night (it wasn’t as hard as you think as the episodes are only 10-20 minutes long) I soon discovered the name, Alastair Reynolds. He was responsible for the short stories that brought about the episodes “Beyond the Aquila Rift” and “Zima Blue”. Once I heard he was the man behind those two riveting stories, I decided I needed to read some of his other works. Upon searching Reynolds on Goodreads, the first book I was met with was “Permafrost”. I didn’t even think. Didn’t even read the synopsis. Just ordered it and chose a 2-day delivery service. His writing is so incredibly organized. It flows so easily and yet it’s so alarming. Reynolds is incredibly talented at showing you a scene, making you familiar with the characters to a point where you feel for them, and then throwing chaos in before your brain can process what’s just happened. I am usually so torn with short stories as they usually lack substance enough to get me involved. This was not the case with Permafrost. 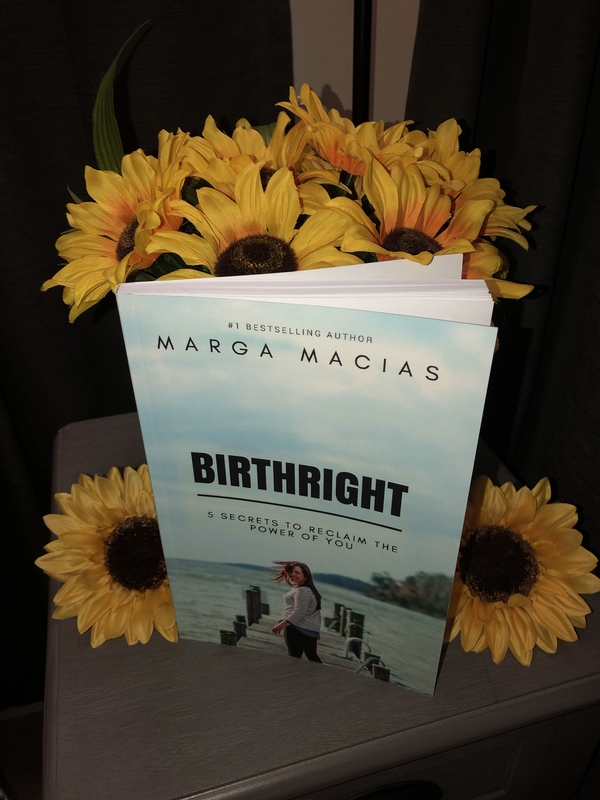 I learned the characters and where they fit, I came to connect with them, and then atrocities were thrown my way when it came to where those characters ended up or what they were going through. I can’t tell you how many times my jaw dropped so hard that it made my cheeks ache. And that ending. OMG. I hoped the ending would be something like it was but I didn’t expect nor could I have asked for a better end to this thrilling, complexly tragic story. I won’t say much else as I don’t want to give anything away because I want you to read it! Alastair Reynolds has found himself among my favorite authors and I can’t wait to find and devour everything he’s ever penned. I’ve been teetering back and forth on whether or not I would read books 2 and 3 in this series and when I saw there was an ebook about characters on the ship other than Elder and Amy, I decided to read it and see if that would stir my feelings enough to dive into the next two books. Mind you, I read this out of sequence as it’s labeled “#2.5” but it definitely worked after the first book. I’m actually happy to have read this. This book is about a girl who Amy ends up meeting in the first book. When we meet her in that first book, she is chasing rabbits and injecting them with “inoculations”. Amy tries to talk some sense into her and make her see that she’s pumping the rabbits full of a genetic modification, but the girl won’t hear it. She seems distant, detached… and with this short story, now we know why. This novella tells the tragic story of Selene. A young girl who has a wonderful voice, has a small group of close friends, and likes a boy who doesn’t like her back. Her life seems simple for the most part. Until the group is taken to the Recorder Hall for a special training. Selene’s group of friends are all artists in some way. So their group is given the task to choose a character from Greek mythology and based on what that character was known for, they are to make that sort of art. Selene found no trouble in the project, but she did find trouble in the person she chose to team up with. While this story was intriguing, it was also heartbreaking. It gave me a deeper feeling of the struggles aboard the ship that the first book in the series failed to give me. We got glimpses of the struggles, but for me, I was never given enough detail. I’ll admit, I was hoping this story would be about Kayleigh, Harley’s love who is mentioned in book one. But I did enjoy this story enough that I think I’ll go ahead and see the series to the end.